A few months ago, General Motors Co. (GM - Get Report) told investors that it would increase production of the Chevy Bolt. Starting near $36,000 with a near-240 mile driving range, the Bolt is viewed by many in the industry as a serious competitor to the Model 3 from Tesla Inc. (TSLA - Get Report) . Given Tesla's production woes and the decades of experience (and far deeper pockets) that GM has, it could be a formidable matchup. A recent analyst observation showed that deliveries of the Model 3 are growing much quicker than expected, but it doesn't look like Tesla will be the only automaker upping its electric vehicle output. 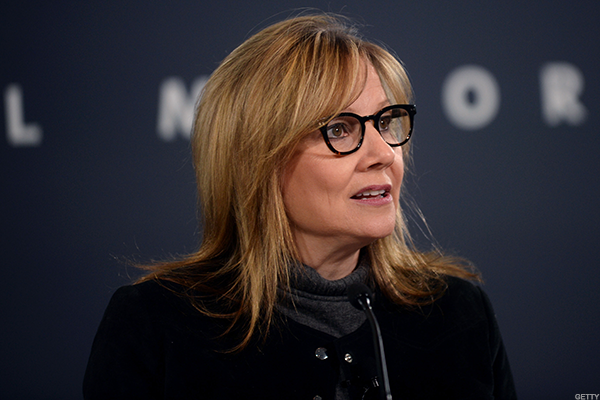 Speaking at GM's annual shareholder meeting on June 12, CEO Mary Barra again reiterated the company's goals, saying "we are committed to an all-EV future and continue to work in that direction." The automaker said in a statement it would increase production of its Bolt model to meet global demand. The company also said it would launch 20 new zero-emission vehicles by 2023 globally. Given GM's size and operations in China and the country's new-found thirst for electric vehicles, this market is sure to be a focus for General Motors and its push for electric vehicle adoption. So while the Bolt may be aimed more directly at the Model 3, it's clear GM isn't going to stand by idly in the revolution of automobiles. SoftBank (SFTBY pouring in more than $2 billion into GM Cruise (along with another $1.1 billion from GM) for its autonomous driving efforts, along with its push into electric vehicles, shows that GM is serious about the future. But it's not the only one. Not long ago, Mercedes said it would introduce 10 all-electric vehicles to the market by 2022. If GM and Mercedes deliver, that's 32 total electric models planned to be introduced in the next five years from just two automakers. That's not including the work by Ford Motor Company (F - Get Report) , Porsche, Fiat (FCAU - Get Report) , Audi, Toyota Motor Corp (TM - Get Report) , Honda Motor Company (HMC - Get Report) and others. Even the luxury automakers like Bentley, Ferrari and Lamborghini are working on hybrid or all-electric models. At this point, it's hard to find someone saying this is a good thing for Tesla, even if it does have some-400,000 pre-orders for the Model 3 and steady demand for the S and X. Can it keep up with the big dogs like GM and Mercedes? With more experience, deeper pockets and better logistics, it's hard to say Tesla can. That said, the newcomer does have some feathers in its cap, as a recent Model 3 teardown showed. Plus, even after all of the headaches it has endured so far, it still has several years to work on building a lead. That is, unless the Bolt gains some serious momentum. How Wealthy Investors Should Play Today's Markets. Whether you're a high net worth individual or just want to invest like one, you won't want to miss TheStreet's recent roundtable discussion on what wealthy investors should do right now. Click here and register for this free roundtable video with top strategists from Bank of America, Fisher Investments, Invesco and Wells Fargo.